The DOD created Military OneSource, an online service and call center available 24-7, to help and answer any questions about military life. GRAFENWOEHR, Germany — Living in the military is a unique experience, and many people need help adjusting. The DOD created Military OneSource, an online service and call center available 24-7, to help and answer any questions about military life. 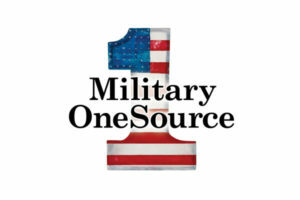 Military OneSource is a free, comprehensive resource covering every aspect of military life for Service members and their families. The site has resources for everyday challenges from working with children and traveling with pets, to more unique military situations, such as training and deployment. 1. Counseling — Military OneSource offers an alternative for Behavioral Health support. Online or via telephone, the site provides confidential non-medical counseling with experienced licensed counselors for short-term concerns, such as handling stress, relationships, grief and parenting issues. 2. Financial Assistance — Managing your finances has never been easier with free financial counseling provided by specialists who can help you with a variety of financial issues. BONUS: They are not affiliated with a bank or financial institution. 3. Spouse Education — Spouse Education and Career Opportunities, or SECO, is a program that provides military spouses with education resources and career guidance. It also streams online webinars, provides resume training and so much more. 4. 24-7 Call Center for your everyday military question — The Call Center and online support consultants are always available to answer questions. From preparing for a deployment to information about your next instillation, the call center is there to help you. These individuals are highly trained — they have master’s degrees in their fields — and will answer your question either over the phone or by forwarding resources and articles directly to your email. 5. Document Translation — Language can be an issue, especially in overseas locations. Military OneSource provides real-time language interpretation over the phone or online document translation for leases, marriage licenses, school transcripts and more. Convinced? Contact Military OneSource online through chat or call them toll-free at 800-342-9647. For more on calling internationally, visit their contact page.